Colorado Party Rentals Answers Your Difficult Wedding Questions! You can pick the venue and choose your wedding gown, but you can’t always control the rest of the wedding planning as easily. The questions can be endless – Are some aspects of the ceremony outdated or not needed? Can the groom have two best men? What if my bridesmaid can’t afford her dress? Colorado Party Rentals has answers from top wedding designers to answer the difficult wedding planning questions. Are Ring Pillows Old Fashioned? Hardly! Presenting the wedding rings is a long-standing wedding tradition. Vera Wang, the iconic wedding gown designer, says the ring pillow has a significant background and “should tie into the overall theme or décor of the wedding.” The ring pillow should coordinate with the bride’s wedding dress. Some couples embroider their names and date of the ceremony on the pillow to have as a keepsake. What If Some People Haven’t RSVP-ed? We say, reach out to them as soon as the due date for RSVP has passed. It is in your advantage to know things as early as possible, so you can start planning with actual figures. If you can not reach them in person, try on the phone or try texting. Always be friendly, and kindly ask them if they can attend your special event. What If A Bridesmaid Can No Longer Afford Her Dress? The most important thing to do is to talk things over before assuming anything. You can talk about other ways to economize ways that would help her out, such as going with a less expensive dress. If she is out of options, covering her dress financially would be a generous and peace-making effort on your part. Remember: she is a bridesmaid because of a significant relationship, and maintaining a relationship is the most important aspect! Can A Groom Have Two Best Men? It’s perfectly fine for a groom to have two best men! His friends can split the man duties and even present a tag-team toast. Is It OK To Request Money For Wedding Gifts? Book Your Wedding Event with Colorado Party Rentals and Let Us Do the Work! Colorado Party Rentals loves to help soon-to-be brides and grooms plan their wedding events. We are Colorado’s premier rental company in Denver offering the finest in tent and event rental with high-quality equipment, prompt delivery, and professional, knowledgeable customer service. 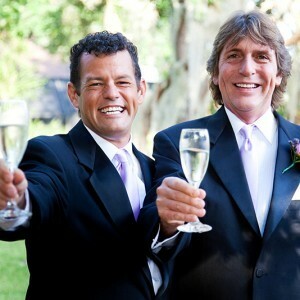 There is no event or request too small for you to receive personalized attention from us. We provide the broadest range of equipment rental in the Denver area at affordable pricing. Book Now!